Biodome structure. The Rain Vortex is the world’s tallest indoor waterfall (9 stories / 40 metres). 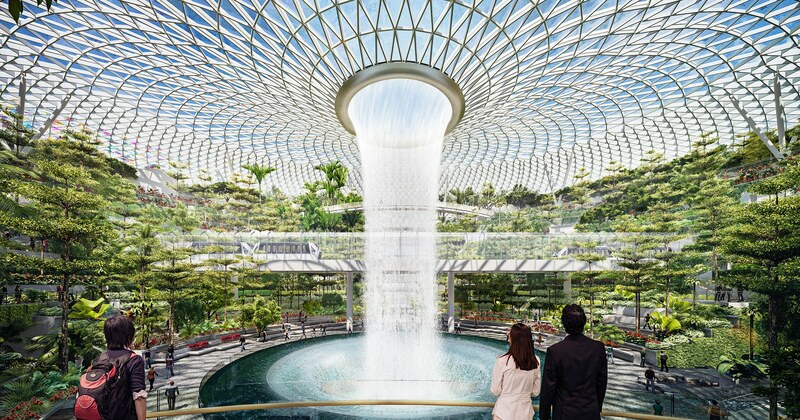 Waterfall creates its own microclimate by creating turbulence and mist that is breezed into surrounding landscapes – prevents hot, humid climate inside dome. 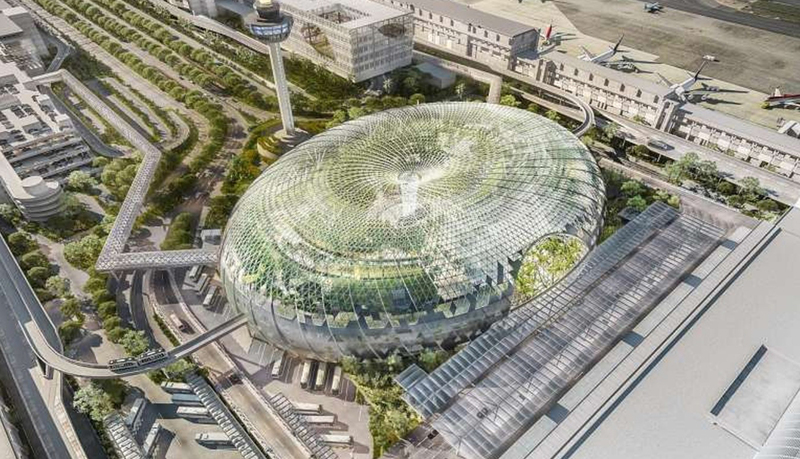 Predicted to receive Singapore’s GreenMark Platinum status. 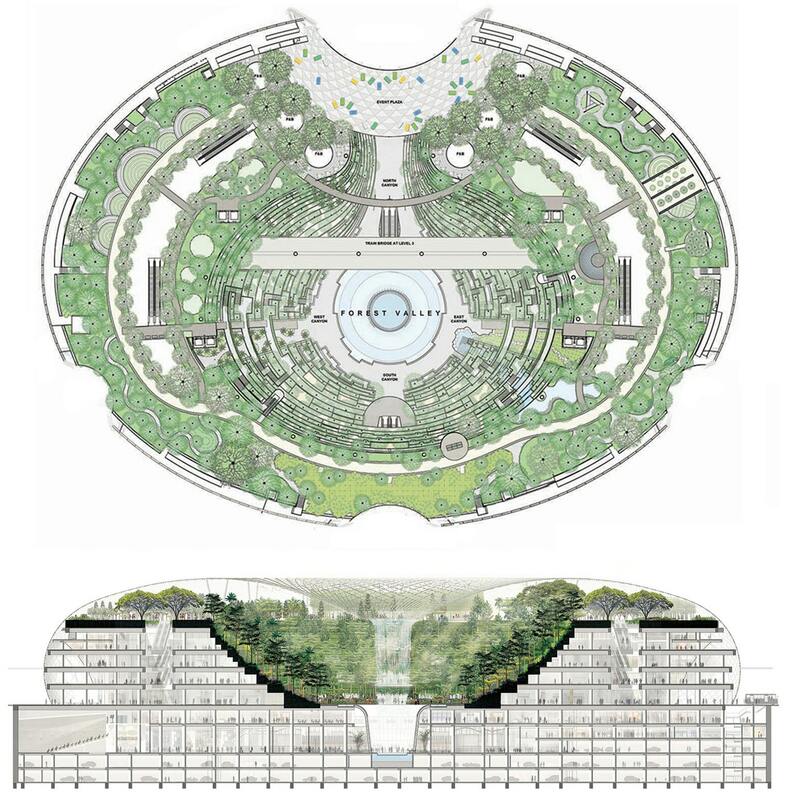 Used top-down construction – deep excavation was not possible due to surrounding buildings and airport operations. 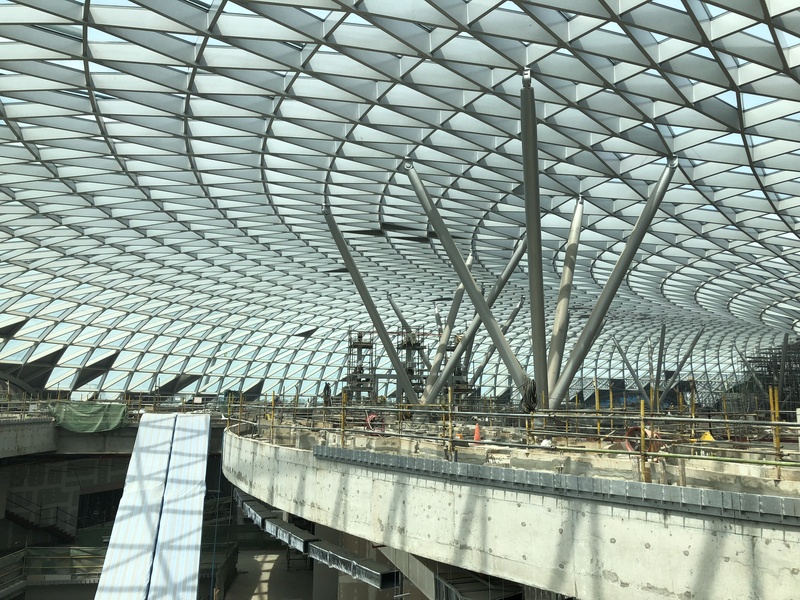 Fourteen tree-like columns support 3,500 tonnes grid-shell roof facade to minimize column obstruction. Facade uses Triple Low-E glass with 16 mm air gap to restrict noises from airport and reduce heat while preventing glaring for aircraft safety.